Ivan and his sister Katya are going to the great Moscow circus to see their new friend Volodia perform the amazing triple somersault on this trapeze. But in spite of the fun they can't forget that Volodia's uncle, a great Russian poet, has been imprisoned for critcizing the Communist government. Katya and Ivan long to help. But what can a teenage boy and a ten-year-old girl do against the powerful Secret Police? Read how a key, a car, a foreign journalist and a clown suit help Ivan in one of his greatest adventures. 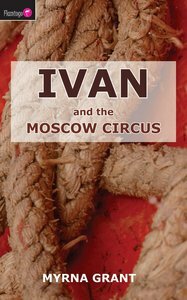 About "And the Moscow Circus (#03 in Ivan Series)"
Grant (Ph.D., Northwestern University) is the author of several books and articles, a book reviewer, and former associate professor in communications at Wheaton College. She lives in Wheaton, Illinois.